I made a festive jellyfish to hang on my tree on Wednesday at the MzTek Soft circuit Christmas decorations workshop. 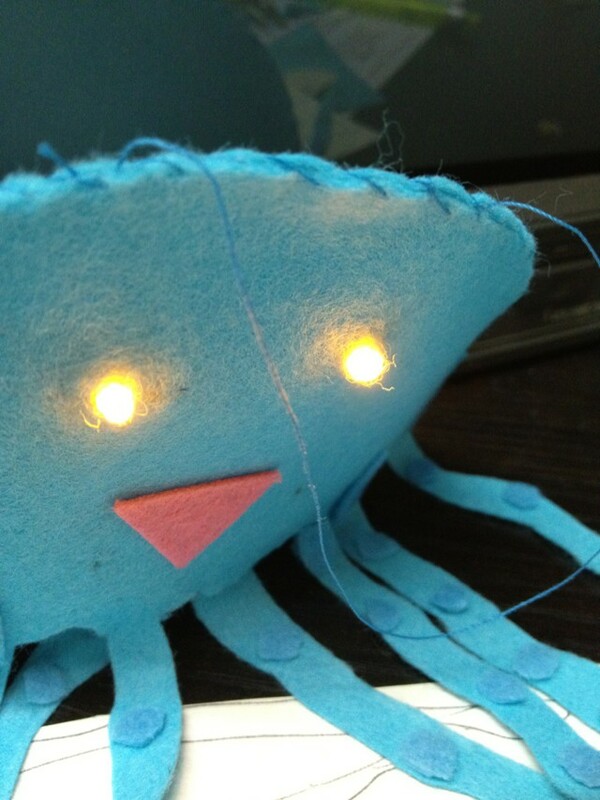 I learnt how to sew conductive thread into a circuit to make the LEDs light up. Interested to do some of their other workshops sometime.